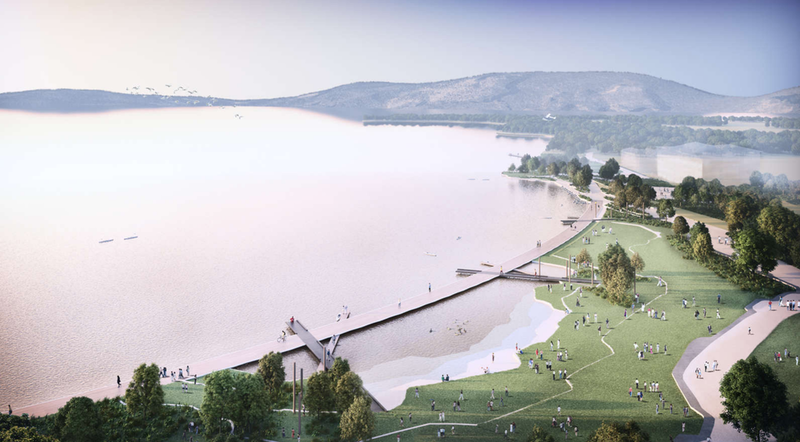 Isthmus has revealed a new design for Rotorua’s lakefront that captures the rich history and cultural ties associated with the popular tourism destination. The main feature of the impression is a 600-metre long curved boardwalk that extends out into the water, symbolising the relationship between the city’s people, the land and the water, while marking several historical locations. The design was developed by Isthmus in consultation with Ngāti Whakaue and Te Arawa Lakes Trust, with guidance from the Rotorua Lakes Council and a project advisory group alongside the team’s cultural design coordinator. The main feature of the Isthmus design is the curved boardwalk which symbolises the relationship between the city’s people and the land and water. 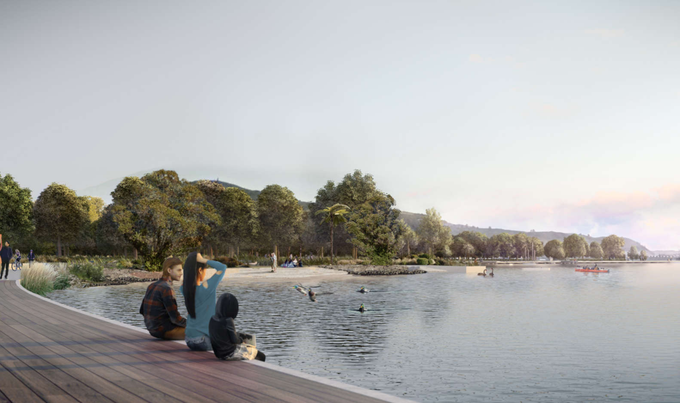 Rotorua Lakes Council says the design has been developed with the goal of connecting the lake with the land, the past with the present, the physical with the unseen, and to pay tribute to the history of the region while honouring the beauty of the lake. The design of the boardwalk aims to let people engage more closely with the water. Other notable aspects of the design include terraces that help people enter the lake for swimming in the central area, as well as a variety of new play space inspired by the cultural stories of Rotorua and its natural surroundings, such as bracken fern climbing frames and oversized gourd (pots) that can be used as play hideouts. The Isthmus designs are still in the conceptual stage. This story originally appeared in Idealog.